Ahh the smell of Spring and Semana Santa is in the air. Sevilla gets pretty crowded around this time so Jon and I decided to take a little holiday. 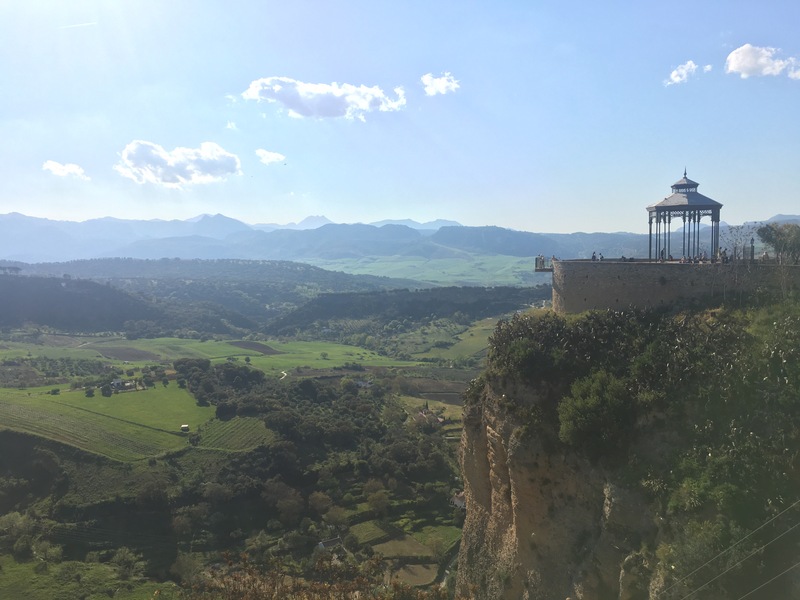 We went on a two-day trip to Ronda and here are some of the highlights. We took a bus which departed from Prado de San Sebastián bus station in Sevilla. Our tickets costed 24€ each (round-trip) and the bus ride was about two hours. The scenery leaving Sevilla province and entering Malaga is truly breathtaking. Green fields of agriculture slowly grow into hills or colinas and then peak into mountains as you pull into the outskirts of Ronda. We arrived close to evening time. With only duffel bags in tow walking into the city center took only a few minutes. 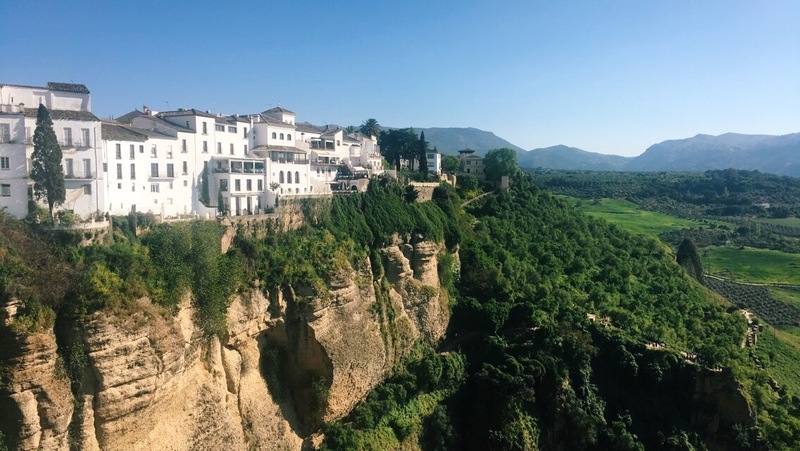 As Jon and I walked into Ronda for the first time we both noted that the town had a kind of “beach coast” vibe. Interesting, because there isn’t a beach for miles ! Maybe it’s the location of Ronda that gives off such an illusion. The town sits on top of a cliff at a 2,425 ft (739 m) elevation. Looking out from the top, you can see the argriculture neatly organized below. The land stretches out until it meets with the horizon. An uninterrupted flow similar to the flow of the ocean. 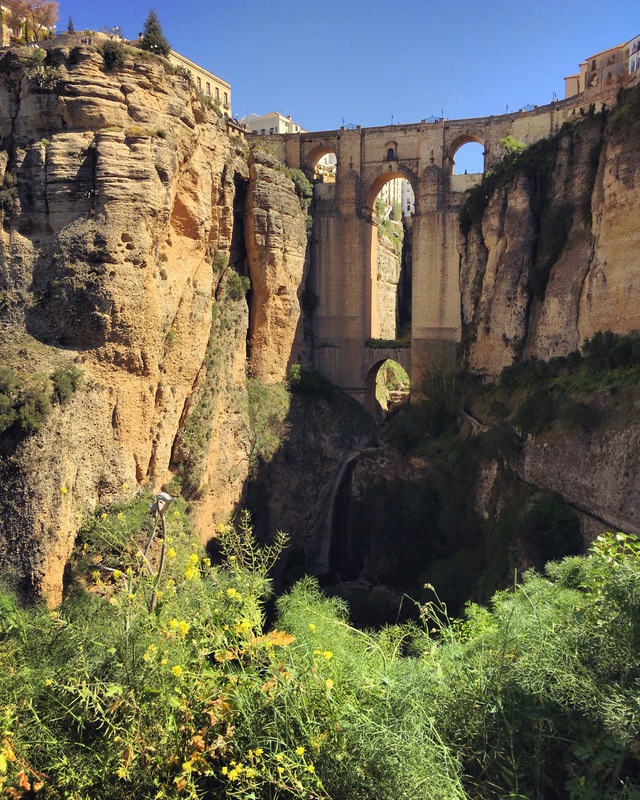 The scenery of Ronda gives off a timeless and romantic feel. Enough scenery to discuss or to simply just sit and enjoy. We spent most of our time hiking and site seeing. We made our way to the bottom of Nuevo Puente and snapped then photos below. 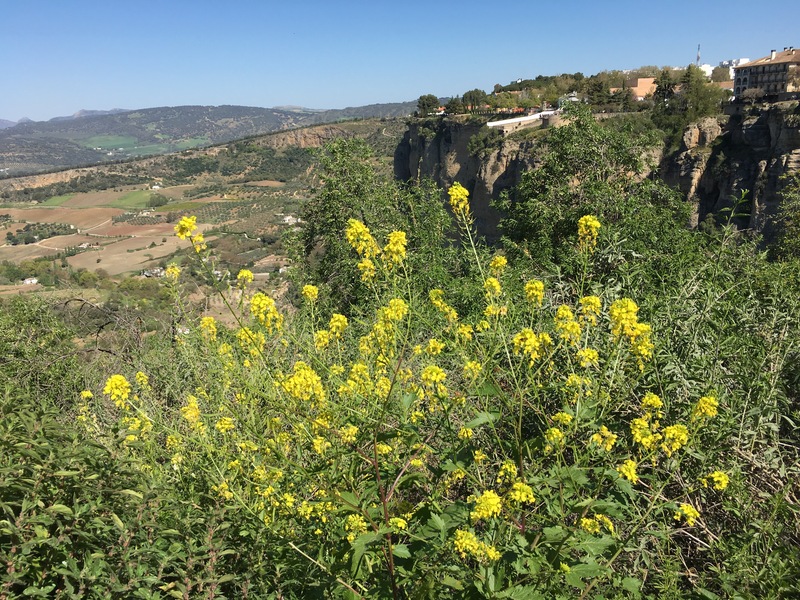 The wild flowers in Spain are in full bloom so our hike was accompanied by lots of colorful flowers. Previous Post The Island That Feels Like Home.